The situation of the peasants in rural Egypt is still deteriorating, and the mechanisms of looting in their lives and livelihoods are continuing. This is because of the same policies that restrain the farmers and impede their ability to reach their livelihoods and thus lose their rights to a decent life and a safe life. The lives of 5.5 million farmers, including more than 90% poor and small farmers and depend on at least 25 million people, suffer from the hardship of life and the bitterness of life because of the same policies inherited from the ages of injustice and tyranny, where problems are exacerbated to reproduce their poverty again, and there are many Of the problems we are facing before the next president of Egypt, which necessitates changing the policies of impoverishment of peasants in rural Egypt and the associated amendment of laws and legislation to ensure a better life for farmers in the mainland of Egypt. This is due to the system of health insurance in Egypt, which includes under its umbrella social workers only insured, and thus covered by this system according to official statistics only 52% of the total population in Egypt, that is that 48% of the population do not have the umbrella of health insurance and then They are vulnerable to all health problems that put more burdens on them, which increases the vulnerability of their social situation. Of course, farmers are the first affected groups of this system. The poor and the small farmers suffer from the absence of social insurance. They receive only Sadat’s pension or social security at the age of 65, and then they receive LE 200 per month, which is hardly enough of the cost of living. Institutions that can organize this social group and ensure their right to social security or adequate insurance coverage. In the same context, the Agricultural Development and Credit Bank (PBDAC) continues to play its role in destroying the farmers’ capabilities, whether by monopolizing the marketing of fertilizer. The price of the fertilizer is 170 LE in the market, while the real price is not more than 37 LE. In addition, LE worth about 140 thousand farmers. 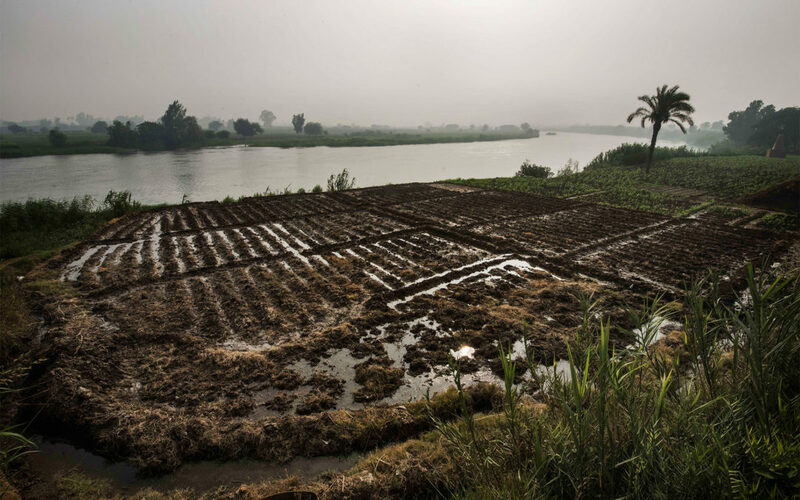 Agricultural inputs represent one of the most important challenges faced by farmers in the Egyptian countryside. The livelihood of these farmers depends on the movement of the prices of these inputs, either downward or upward. Since the liberalization of agriculture in the Egyptian countryside since the 1980s, the prices of these inputs are increasing, Compared with 1985 for wheat, for example, and agricultural pesticides increased by 4500% in 2009 compared to 1985. For more than half a century, Egypt has witnessed the loss of 2.5 million feddans of the best agricultural land, representing 27% of the total area of agricultural land till 2012, including the reclaimed land. This also represents the loss of 42% of the lands of the valley and the Delta. In the valley and the delta in not more than half a century if the deterioration of the construction and razing of agricultural land continued in the same way, which also reflects the levels of rent agricultural land in the Egyptian countryside, especially after the implementation of the law to liberalize the rental relationship in the Egyptian countryside in October 1997, Not exceeding 200 LE per year before 1992 of the last century, it has increased to 600 pounds in the period from 1992 to 1997, the date of application of the law on the liberalization of agricultural land, and then saw the lease of agricultural land successive rises amounted to 9000 pounds per year in some Upper governorates Kalmania and Beni Suef, while Increased to levels ranging from 7000 to 10,000 pounds in some governorates of the face of the sea. In the same context, there are more than one and a half of the farmers do not find agricultural land, while the land reclamation projects do not need the number of farmers for the agricultural land, but between them and their right to establish their cooperatives to help them reach the agricultural land. As the land is often distributed to major investors who quickly convert them into projects in real estate and tourism rather than agricultural.